The Ukraine is WEAK! But this beer is actually alright. 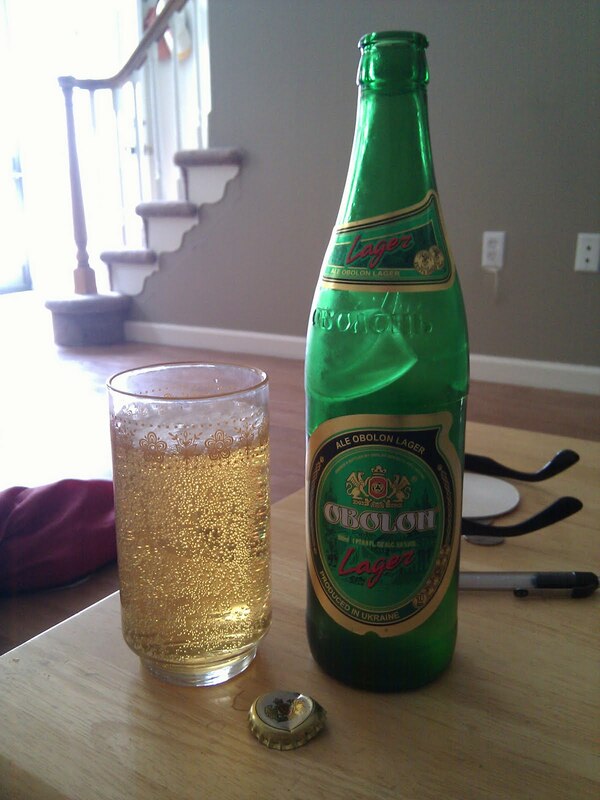 Obolon brewery, not to be confused with Obi-Wan Brewery, jumped started in, like, 1980, changed it name a few times and here they are. I sorta dig this brewery cuz they borrowed like 90 million dollars from banks to spread their booze and from what I read, the CEO, Oleksandr Slobodian (known to his friend's as 'The Original S.L.O.B.") dabbles in politics and I find it unlikely he's gonna pay these loans off; that's just my opinion though. Sidenote: They make this with rice. Scholars suggest it is done to break the Asian market. This lager so looks like urine after you run like 10 miles but tastes and smells way better! A very mild smell and a bold taste that doesn't linger in your mouth for too long. It hits the stomach pretty well. Between you and me I wouldn't might slamming a bunch of these babies tailgating, it tastes that light. Like I could eat a million sausages and run around a parking lot totally hammered, accidentally bumping into cars, purposely bumping into cars, high-low a few people and run from the cops. It's 5.0% ABV (5.2% in the 'Kraine) and I paid like, $1.69 for 500mL which is just about the coolest thing I ever heard. I didn't even realize it was so cheap. Maybe that's why the Original S.L.O.B. is going broke, he can possible be making money on this!